An increasing number of insurance companies and managed-care organizations are covering complementary and alternative medicine, fueled by consumer demand and a growing body of scientific evidence demonstrating the benefits and cost-effectiveness. 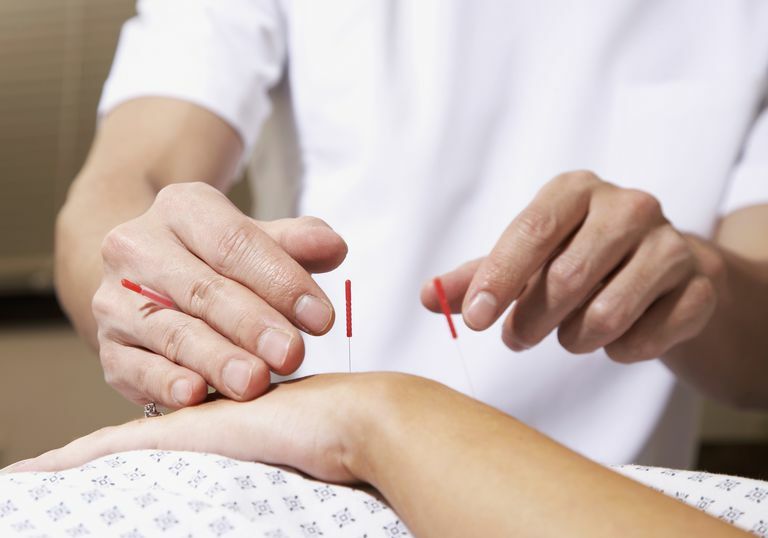 A recent survey of 18 major HMOs and insurance providers, including Aetna, Medicare, Prudential, and Kaiser Permanente, found that 14 of them covered at least 11 of 34 alternative therapies. Chiropractic, massage therapy, and acupuncture are the three most-covered therapies followed by naturopathic medicine. Other therapies that are increasingly being included are herbal remedies, homeopathy, mind-body stress management, and meditation. But the extent of coverage is still quite limited; people typically pay for services on a discounted fee-for-service basis or are allowed an unrealistically small number of sessions. The end result is that the treatments are wrongly judged as being ineffective when the real problem is that the limited coverage didn't allow the person to complete the recommended treatment plan. Here are answers to the 12 most common questions about insurance coverage for complementary and alternative medicine. 1. How do people pay for complementary and alternative therapies? Most people pay for complementary and alternative medicine services and products themselves. An increasing number of health plans offer some coverage of complementary and alternative medicine, however, it tends to be limited and varies from state to state. 2. How can I find out if there are any laws in my state about insurance coverage of a therapy I'm interested in? You can try contacting the national professional association for that type of therapy, for example, associations for acupuncturists. Many of these associations monitor the insurance coverage and reimbursement for their specialty. 3. I have health insurance. If I am interested in obtaining treatment from a practitioner, what financial questions should I ask? First, you need to be informed about your health insurance plan. Does it offer any coverage of complementary and alternative medicine treatments? If so, what are the requirements and limits? For example, does the plan limit the conditions it will cover, require complementary and alternative medicine services be delivered by specific practitioners (such as a licensed medical doctor or practitioners in the company's network), or cover only services if that plan determines to be medically necessary? Read your plan carefully, including the limits and exclusions. It's a good idea to check with the insurance company before you seek treatment. Does this care need to be pre-authorized or pre-approved? How many visits are covered and over what period of time (for example, 6-10 visits a year of acupuncture)? Will any additional costs be covered, such as lab tests, dietary supplements, equipment, or supplies? It will help you to keep organized records about all interactions with your insurance company. Keep copies of letters, bills, and claims. Make notes about calls, including the date, time, customer service representative's name, and what you were told. If you are not satisfied with a representative's explanations, ask to speak to someone else. If the insurance company requires you to have a referral, be sure to obtain it and take it with you to the practitioner. It's a good idea to keep a copy for your own records. 4. What financial questions should I ask the practitioner? Do I file claim forms, or do you (the provider) take care of that? Do you offer a sliding-scale fee? A sliding scale fee adjusts charges based on a patient's income and ability to pay. 5. What about complementary and alternative medicine insurance coverage that may be offered through employers? Higher deductibles. A deductible is a total dollar amount that the consumer must pay before the insurer begins making payments for treatments. Under this type of policy, complementary and alternative medicine coverage is offered, but the consumer pays a higher deductible. Policy riders. A rider is an amendment to an insurance policy that may change coverage in some way (such as increasing or decreasing benefits). You may be able to purchase a rider that adds or expands coverage in the area of complementary and alternative medicine. A contracted network of providers. Some insurers work with a group of complementary and alternative medicine providers who agree to offer services to group members at a rate lower than that offered to non-members. You pay out-of-pocket for treatment, but at a discounted rate. The Agency for Healthcare Research and Quality (AHRQ), a Federal agency, has helpful publications about choosing and using a health insurance plan. 6. My insurer has asked me for evidence, from scientific and medical literature, about the use of a complementary / alternative medicine treatment. Where do I find it? The National Center for Complementary and Alternative Medicine (NCCAM) Clearinghouse can help you find information from the scientific and medical literature on alternative medicine. They use databases of peer-reviewed scientific and medical journals, such as CAM on PubMed. 7. My insurance company has denied my claim for a complementary / alternative treatment. Is there anything I can do? There is nothing more frustrating than finding out a claim is denied. It has even happened to people after they have verified over the phone with an insurance company about a particular treatment. As discussed earlier, make sure you know your policy including what it is, and is not, supposed to cover. Check whether there has been an error in the coding or billing of your service (called a coding error), either by the practitioner's office or by the insurance company; compare the codes on the practitioner's bill with the codes on the document you received from the insurance company. If you think your insurer made a mistake processing your claim, you can request a review from the company. Also, the insurance company should have an appeal procedure and provide a copy of it with your policy. It may be helpful to discuss with your practitioner whether she can do anything on your behalf, such as writing a letter. If you have taken these steps and the problem is not resolved, contact your state insurance commissioner's office, which has consumer complaint procedures. 8. Are there laws to help me keep my health insurance if I lose or change jobs? Do these laws apply to complementary and alternative medicine treatments? If you currently have an insurance plan that includes any complementary and alternative medicine coverage, the following laws may be of interest to you. The Centers for Medicare and Medicaid Services can provide you with the general information on the Federal HIPAA program. Note that individual states may have specific laws related to HIPAA requirements; if you need more information on HIPAA in your state, contact your state insurance commissioner's office. Another Federal law that may help you is the Consolidated Omnibus Budget Reconciliation Act (COBRA) of 1985. COBRA continuation coverage gives you the chance to buy and maintain your current group health coverage for a defined period of time if you are laid off or have your work hours reduced below the level for receiving benefits. The length of continuation coverage depends on the reason for your loss of group coverage. COBRA generally covers health plans of businesses with 20 or more employees, employee organizations, and state or local governments. You must meet certain application deadlines and other conditions, such as payment schedules, to maintain coverage under COBRA. COBRA can also help you avoid a gap in coverage if you change jobs and are not immediately eligible for coverage in your new company. For more information about COBRA, contact your nearest office of the Pension and Welfare Benefits Administration of the Department of Labor. Your state may also have a law that requires insurers to continue group plan coverage to individuals who lose their medical coverage for various reasons. Check with your state insurance commissioner's office. 9. What are tax-exempt accounts for medical expenses? How might they help me? A flexible spending arrangement (FSA; sometimes called a Flexible Spending Account) is a benefit provided by some employers that offers a way to help pay for out-of-pocket medical expenses, while reducing the employee's taxable income. With FSAs for health-related expenses, you choose an amount of pre-tax dollars to be set aside from your paycheck each pay period. This money is then available to reimburse certain health-related expenses that are not paid any other way, such as by insurance. You may need to supply documentation from a physician or other health care provider that the treatment is medically necessary. Note that the IRS does not allow the same expense(s) to be both reimbursed through an FSA and claimed as a tax deduction. Another type of tax-exempt benefit for health-related expenses is a health savings account (HAS). Set up by Congress in December 2003, HSAs allow some individuals who participate in a high-deductible health plan to save money in a tax-free account. If you are eligible, you can use these savings to pay for your future medical expenses or those of your spouse or dependents. The IRS has publications with more information about FSAs and HSAs. The Department of the Treasury also has a direct link to information about HSAs on its website. 10. Does the Federal Government have resources that might help me financially with my health-related expenses? Currently, Federal health assistance programs are not set up to assist with alternative medicine expenses. There are Federal databases on the Internet that can introduce you to these programs. GovBenefits (www.govbenefits.gov) provides an overview and a self-test to help you identify whether any benefits are appropriate for your needs. FirstGov (www.firstgov.gov) has information on various health-related programs such as Medicare and Medicaid. As part of its research, the National Center for Complementary and Alternative Medicine (NCCAM) does conduct clinical trials of some alternative medicine treatments. 11. Are complementary and alternative medicine services deductible on my income tax? As of 2002, the IRS allows a limited number of deductibles for complementary and alternative services and products. 12. Can you suggest any other resources?